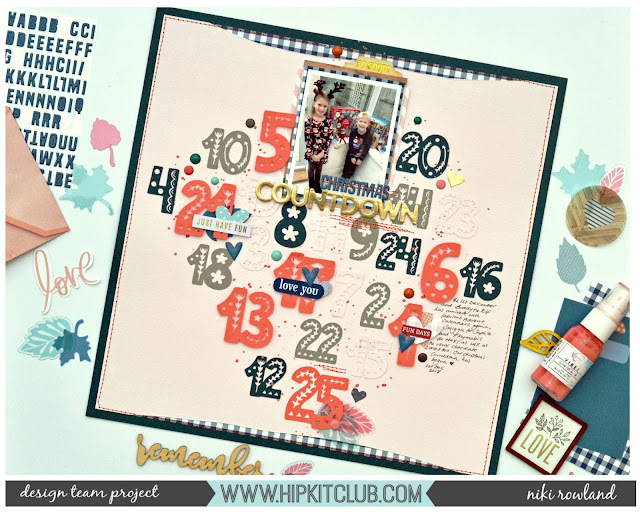 Hey there, I was up on the Hip Kit Club Facebook Page yesterday sharing this layout which I made following the HKC Weekly Sketch which you can find on their Facebook Group. 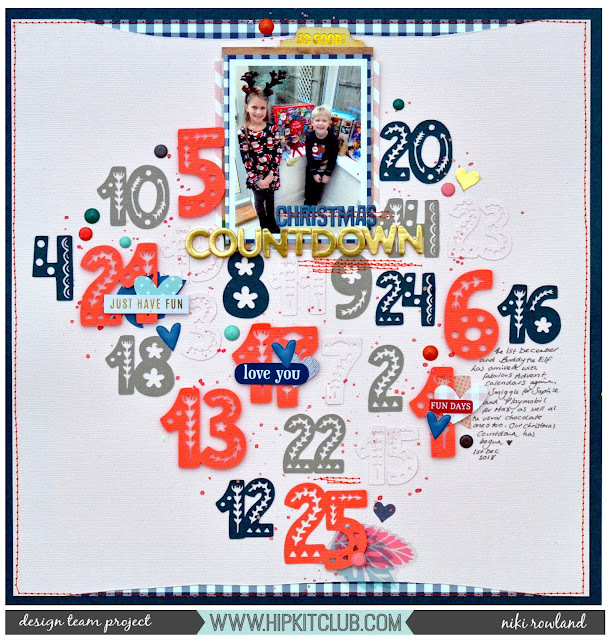 I've used the fabulous November Kits to make this layout and the gorgeous Scandi Numbers cut file which was from Day 4 of the 12 Days of Giving. I cut the numbers out of different coloured cardstock and arranged them as per the sketch instead of using the paper layers that were represented on it. Our assignment this week was also to make a Christmas layout using the November kits - well I definitely managed that!